Big Data Spotlight: Big Data & ERP. We’ve been working with ERP and BI solutions for years and years. We’ve seen that relationship evolve over time. Believe it or not, some of the Optimum team were around in the olden days of batch processing in the late 80s. Now that was proper old school! With the advent of ERP in the early 90s, sprung the need for data warehouses and real-time, operational reporting. Then demand grew for more ‘decision support’ and querying capability. So around 2000, the reporting and querying / data mining capabilities were merged into what we know today as a business intelligence system. And we’ve seen the BI toolsets themselves evolve from the forerunners like Business Objects and Cognos, to the newer offerings with the likes of Qlik and Tableau. We’ve implemented all of these BI solutions – alongside ERP as the core data hub. 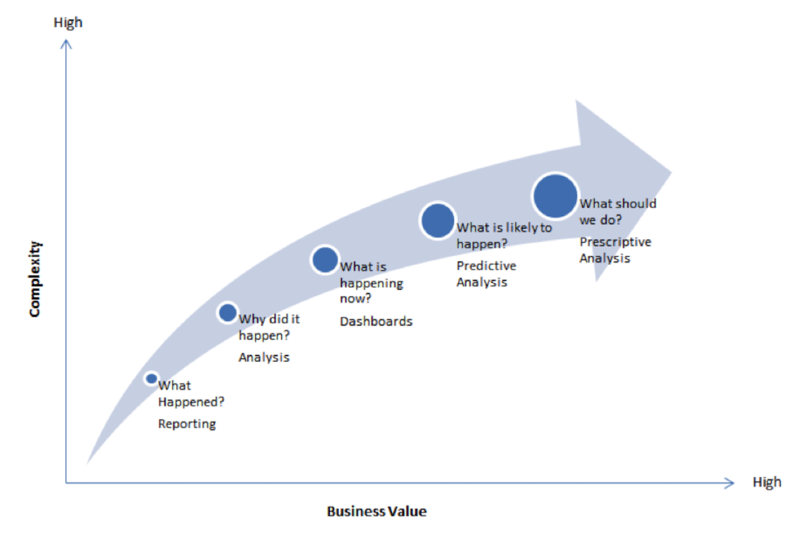 To date, much of the emphasis has been on Reporting, Analysis and Dashboards. So how does Big Data align with ERP? To date, the bulk of the data that an organisation managed was their own internal, structured data produced by their own business systems such as ERP, CRM etc. But one of the key changes emerging with Big Data is that organisations now also have to contend with the growing volume of unstructured, and often external data too. This data is emerging from a variety of sources including social media, mobile sensors, and machine to machine communication systems. The challenge facing organisations is about bringing together disparate, external, unstructured data feeds with existing ERP data and analysing that data to improve decision making and business performance. Part of the challenge is about the ‘How’. The technology, the solution, the integration. The conundrum is that for decades now, most business information goes through ERP. It’s the central data hub, it’s the backbone of the business. So shouldn’t we integrate ERP and Big Data? But ERP systems can’t handle Big Data at the moment – whether that be the complexities of the data manipulation or the sheer volume of data. So for the time being, they will remain as separate systems. ERP is really just another data source for a Big Data system. And likewise, the output of a Big Data system could feed into an ERP. It’ll probably take a few more years yet before they become truly integrated systems, but businesses can still benefit from Big Data and ERP as separate systems in the meantime. What opportunities does it open up for your business? What benefits and value can it drive for your business? What performance improvements can it deliver for your business? Subscribe below to follow our forthcoming series of Big Data Spotlight articles to find out how your business can leverage value and business growth through the innovative use of data.